The political dialogue between Belarus and Ukraine strengthens the relations between the two countries, Belarusian President Alexander Lukashenko said Monday. 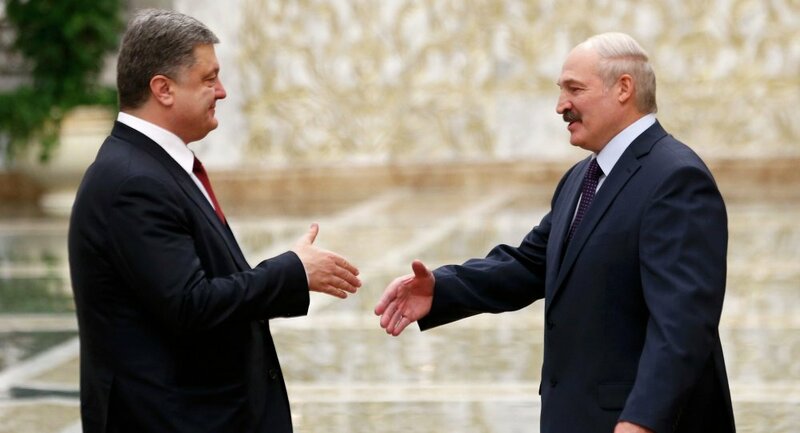 MINSK (Sputnik) — Lukashenko congratulated Ukrainian President Petro Poroshenko on the country's Independence Day, the press service of the Belarussian leader said. "The strategic partnership between Belarus and Ukraine receives a new impulse thanks to the deepening of the political dialogue," the Belarusian president was quoted as saying by the press service. Lukashenko added that a major contribution to building mutually beneficial cooperation was Poroshenko's personal attention to the development of comprehensive relations with Belarus. On Monday, Ukraine marks the 24th anniversary of its independence. The Independence Day of Ukraine is celebrated in commemoration of the Declaration of Independence in 1991.